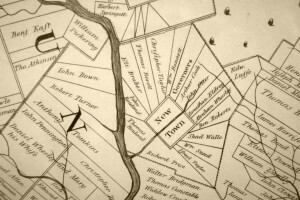 This is not very clear, but the idea might be something like the layout of Newtown township in Bucks County. You see the plots radiating out from the center. You also see that the neat geometry that Penn imagined was interrupted by the natural geography, in this case Neshaminy Creek. Other factors could also interfere with the idea of neat rectangles. The townships along the Delaware River had tracts that were particularly long and skinny, to give more settlers access to the valuable river frontage. Germantown grew up as a linear village, strung out along an existing road. 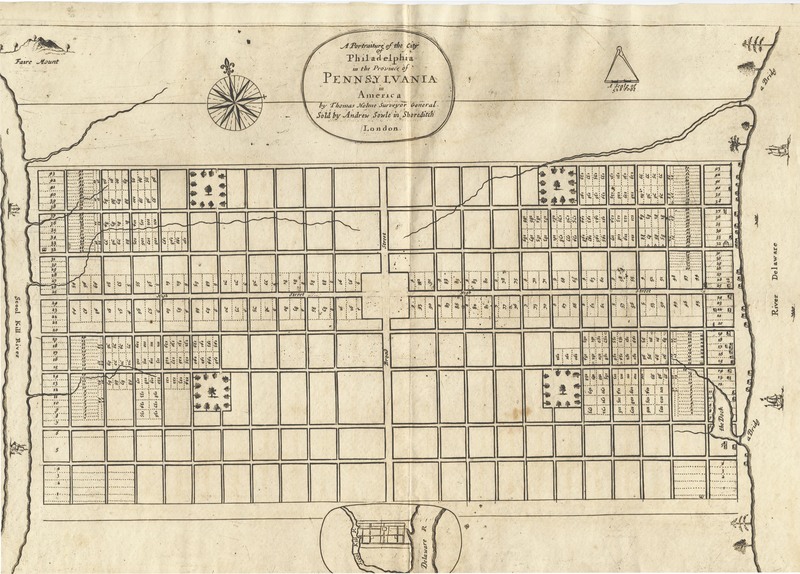 3 Some land in Chester and Philadelphia Counties had to accommodate existing rights of the Swedes, whose lands were sometimes irregular in shape. The three counties — Philadelphia, Chester and Bucks– were laid out early, although their precise boundaries were not specified at first. Some of the townships were laid out and named early as well, especially those in the southern part of each county, where settlement was densest. 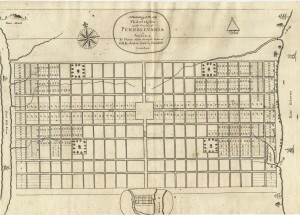 Penn wanted a one-tenth share in each township reserved for him, but Holme admitted to Penn that he had neglected this under pressure from settlers who wanted the land. The other requirement for Penn was for contiguous settlement, with no gaps between tracts as the land was laid out. 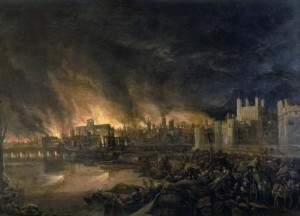 His surveyors were to start with existing lots like the ones along the rivers and to proceed inland in an orderly way. For the most part, settlement proceeded as he wished, with one notorious exception that almost cost Holme his job. In 1686 Charles Pickering, a Philadelphia merchant who had been convicted of counterfeiting in 1683, learned from an Indian of mineral deposits in northern Chester County. The word got around, and John Gray, a colorful character who may have been a lapsed Benedictine monk, tried to get a survey for the deposits. He persuaded Thomas Fairman, one of Holme’s assistants who looked out for his own interests, to lay out the survey, far beyond any existing surveyed land. Holme found out and determined to follow Penn’s instructions. He ran a series of surveys in a chain, leading north from existing tracts and ending up in Pickering’s site. When Penn found out, he was furious at the irregular survey, partly because he wanted land with lucrative mineral deposits reserved for him. He wrote to the commissioners that “Thomas deserves … to loose his office if I am rightly informed.” 4 Holme wrote to Penn (who was back in England at this time) and placated him. In any case, after all the furor, the mine came to nothing.